In a potential breakthrough that could staunch the flow of migrant caravans and untangle some of the nation’s most controversial immigration problems, Mexico’s incoming president has agreed to a Trump administration plan that will make Central American asylum seekers stay on the Mexican side of the border while they wait to be legally admitted to the United States. 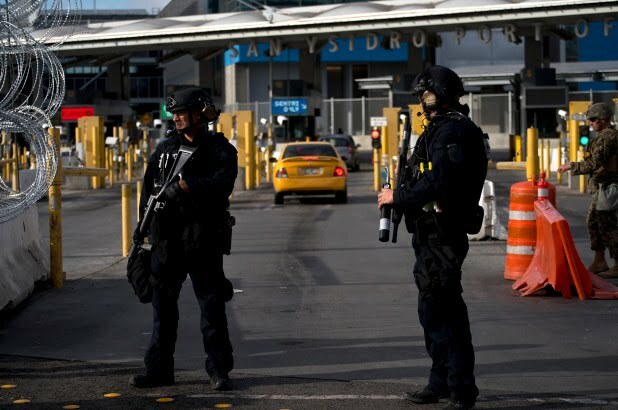 The plan, called “Remain in Mexico,” was negotiated last week by Secretary of State Mike Pompeo, Homeland Security Secretary Kirstjen Nielsen and other US officials, the Washington Post reported Saturday. They met in Houston with representatives of Mexican president-elect Andrés Manuel López Obrador, who takes power Dec. 1. The program is meant to put a stop to the “catch-and-release” system, long denounced by Trump, that allows migrants seeking refuge in the United States to live here for years — a practice that immigration officials see as a dangerous loophole that encourages illegal border crossings and contributes to years-long backups in the adjudication system. López Obrador’s willingness to take on the burden of housing the migrants — perhaps for extended periods — is a surprising development, especially since he campaigned as a progressive and has criticized Trump. Trump’s threats to shut down the southern border of the US — which would be a serious blow to the Mexican economy – and ordinary Mexicans’ growing anger at the constant flow of migrants helped to spur the deal. 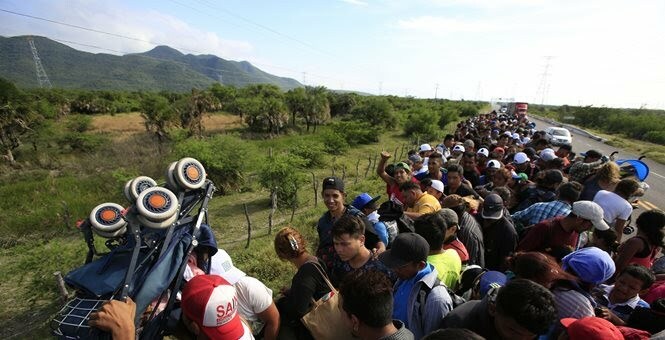 The Washington Post reports that President Donald Trump has reached a deal with the Mexican government to keep the migrant caravan, composed of thousands of Central American asylum seekers, within Mexico as the United States' court system processes refugee applications. The deal known as "Remain in Mexico", would "break with long-standing asylum rules and place a formidable barrier in the path of Central American migrants attempting to reach the United States and escape poverty and violence. By reaching the accord, the Trump administration has also overcome Mexico’s historic reticence to deepen cooperation with the United States on an issue widely seen here as America’s problem. The Post says that Mexican officials and senior members of president-elect Andrés Manuel López Obrador’s transition team say the plan would mean that "asylum applicants at the border will have to stay in Mexico while their cases are processed, potentially ending the system, which Trump decries as “catch and release,” that has generally allowed those seeking refuge to wait on safer U.S. soil." “For now, we have agreed to this policy of Remain in Mexico,” said Olga Sánchez Cordero, Mexico’s incoming interior minister, the top domestic policy official for López Obrador, who takes office Dec. 1. In an interview with The Washington Post, she called it a 'short-term solution.'" The White House has not confirmed nor denied this report.